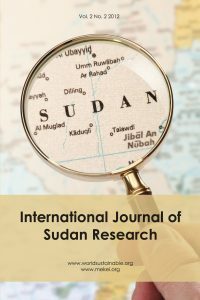 Purpose: The paper analyzed the major factors that constrained cotton export earnings in Sudan. Design: A vector error correction model is applied to estimate short run and long run effects of the main factors constraining cotton exports. Data from 1970-2014 were used in the model estimation. Findings: The results showed that yield and exchange rate both affect cotton export earnings in the long run, but there is no strong relationship in the short run. A greater coefficient of the error-correcting term means that the variables in the model are adjusting faster from the short run to the long run equilibrium. Practical implications: Adopting policy that leads to improvement of yield and stabilization of exchange rate to restore cotton export earnings especially in the long run. Value: The model developed for cotton export value captured the dynamic between long run and short run equilibrium.